Desi Smith/Staff Photo. 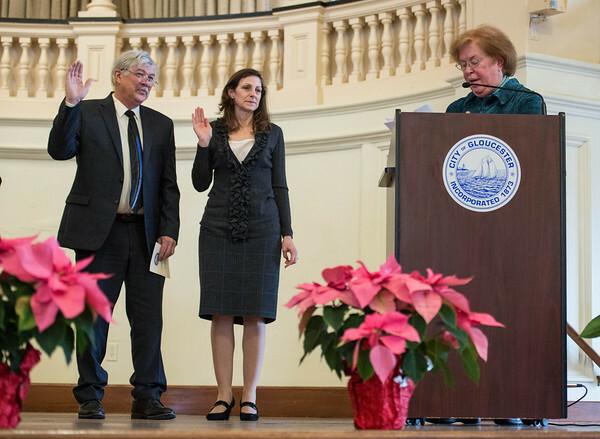 Jonathan Pope and Kathleen Clancy are sworn into office to School Committee by City Clerk Linda Lowe during the Inauguration Ceremony held Friday afternoon at the Kyrouz Auditorium at City Hall. January 1,2016.